Fans will have a couple final chances to see "the Rocket Man" in Philadelphia this fall. 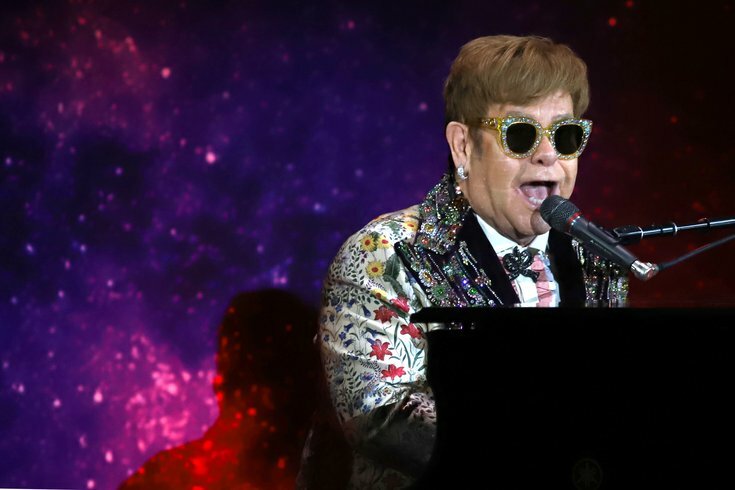 Elton John announced on Wednesday that he will embark on a farewell tour consisting of more than 300 shows across five continents between 2018 and 2021. Coincidentally, Pennsylvania is the music icon's first stop on the three-year Farewell Yellow Brick Road Tour. John, the third-most successful Billboard Hot 100 artist of all-time, plans to kick off the tour at the PPL Center in Allentown on Sept. 8 before playing a pair of shows at the Wells Fargo Center in South Philly on Sept. 11 and Sept. 12. John also plans a Sept. 16 show at the Bryce Jordan Center on Penn State University's main campus. Tickets will go on sale Feb. 2. Fans looking to snag seats for the Wells Fargo Center shows can buy them starting at 10 a.m. that day on WellsFargoCenterPhilly.com or at the Wells Fargo Center box office. John is also set to perform alongside Miley Cyrus at the Grammy Awards in New York on Sunday. The 70-year-old had to cancel April and May shows in Las Vegas last year after contracting a rare but potentially deadly bacterial infection while on tour in South America. At a press event on Wednesday, the 70-year-old told CNN's Anderson Cooper that he decided in 2015 that the upcoming tour would be his last, saying that he wanted to spend more time with his family.